Photo MTU Archives Calumet Village is moving forward in creating an ordinance creating the position of village manager to assume administration of the village, leaving the council more time and freedom to focus on setting policy and decision-making. 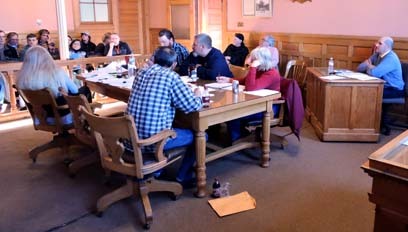 CALUMET — The Ordinance Committee addressed a number of ordinances at its meeting Thursday, including procedures on addressing the blight issue and a village manager ordinance, said Village President Dave Geisler. Geisler said he had conducted some research before Thursday’s meeting and found Calumet and Laurium as the only two villages in the region that did not have a village manager form of governance. The Michigan Municipal League (MML) recommends such a governance, he said, adding that the adoption a village manager form of government is in the village’s master plan. In 2016 a team of Michigan Technological University students conducted an in-depth study covering several areas of concern in the village. Among the areas studied, the students recommended the village adopt a village manager form of government. The study found a professional manager can provide village government with leadership, achieve efficiencies, perform research, secure grants, manage personnel and deal with operational issues, which would enable to the Village Council to focus on setting policy and decision-making. 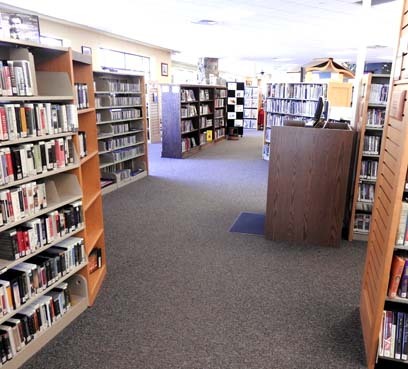 The study stated the council may assign the manager with administrative duties of the council, council president, clerk and treasurer by passing an ordinance outlining those responsibilities. Still, there are concerns among village residents. Trustee Nathan Anderson said last week he could not support a manager ordinance if it did not include wording that strengthens the position of the village president, allowing him or her absolute supervisory authority over the manager. Anderson also stated that an added disadvantage is that because the manager is appointed, he or she is not accountable to the electorate, unlike the clerk and elected officials. While that argument is not new, Geisler said he views it through a different lens.